It was a fascinating metaphor. Poetically poignant and highly descriptive. And sadly, soul-numbing in its accuracy. "How do I feel? Well, I guess I'd describe it like a bike that has lost one of its gears." We were having a deep conversation about our experiences of disillusionment in ministry. The kind of conversation that is born out of many years of friendship and shared history, as well as the common understanding of those who have gone through adverse situations in full-time vocational ministry. "Don't get me wrong," my friend hastened to add. "As God has done His work in my own heart, I feel healed up, wiser, and ready to be as involved in ministry as He wants me to be. 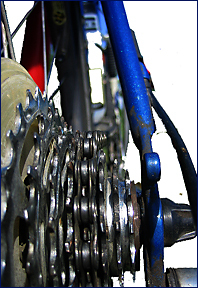 If a bicycle is the ministry metaphor, then I'm absolutely ready and willing to ride." "But I feel like one of my 'gears' is gone, and I'm not sure if it will ever come back." That statement/metaphor hit me like a ton of bricks. I found myself immediately identifying with the visceral picture he had just painted. Yeah, I could relate. Boy, could I. At the same time, multiple half-formed objections -- usually based around an assumption that "recovery" equals "good as new" -- clamored for expression. There is a part of me (of us?) that balks at the idea of being among the "walking wounded". I could also recall well-intentioned bromides and slogans from would-be encouragers. Nobody wants to be considered "damaged goods"; to be placed indefinitely into some leper colony labelled "formerly useful". The sign-up sheet for "Bully Fodder 101" is remarkably blank. "I aspire to weakness!" said nobody ever. 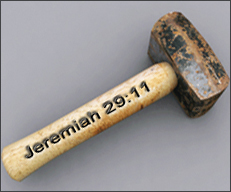 Wasn't there some guy in the New Testament...? "Therefore, in order to keep me from becoming conceited, I was given a thorn in my flesh, a messenger of Satan, to torment me. Three times I pleaded with the Lord to take it away from me. 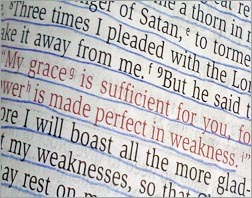 But he said to me, 'My grace is sufficient for you, for my power is made perfect in weakness.' Therefore I will boast all the more gladly about my weaknesses, so that Christ’s power may rest on me. That is why, for Christ's sake, I delight in weaknesses, in insults, in hardships, in persecutions, in difficulties. For when I am weak, then I am strong." Would we be willing to say "Amen (so be it), ready and willing to ride, Lord"? I can't speak for the rest of you, but as a writer and a musician, I often find myself looking at my hands. As a writer, it's usually when I have writer's block, a sort of mental kryptonite that brings all creative thought to a crashing halt, leaving my hands poised yet frozen and unmoving on the laptop. Yes, these are my hands on my Fender Strat; bass is my first instrument, but not my only. As a musician, of course, it's usually because I'm paying attention to what I'm doing, thereby avoiding sour notes and despairing/incredulous glances from my band-mates. My hands also serve as a reminder of the passage of time. As the picture below indicates, I have had the rare privilege of playing bass in various bands for many years (my first actual foray into performing as a bass player actually dates back to 1980). A lot has changed over the years, as the photo can also attest to, but I am privileged to be able to continue to do something that I love, that brings joy to my life. I can't tell the difference. Can YOU tell the difference? But I notice the changes in my hands wrought by the passage of time. The years of various jobs-required-to-pay-the-bills have been less than kind. Some of my hand-strength is noticeably less than it used to be. The speed and dexterity is still there, but I also find that I'm practicing at home (songs like Roundabout by Yes) as much to keep limber as to acquire new skills. And conversely, I can definitely tell when I haven't kept up a daily regimen of practicing. I have the privilege of still playing music after all these years. But it won't last forever. Same goes for my writing. I want to invest it, enjoy it, and be always gratefully mindful of Who gave me the ability to use these hands in the first place. That is what I learned from my hands today. 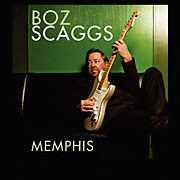 When you see an album cover featuring: (a) a guy relaxing on a couch, (b) holding a Fender Strat, (c) with the word "Memphis", you just know that it's an R 'n' B album. Memphis delivers exactly that. An album from Boz Scaggs that is a nice, relaxing source of great music for chilling out (or writing, as it turns out) that oozes rhythm and blues. Sweet tracks: Rainy Night in Georgia, Cadillac Walk, Gone Baby Gone, and Love on a Two-Way Street. 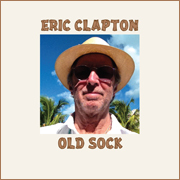 Listening to Eric Clapton's Old Sock is like reconnecting with an old friend. This album is a great mix of musical styles, from reggae to jazz to the blues-rock for which Clapton is legendary. Fun tracks: When Your Well Runs Dry, Folks Who Live on the Hilly, All of Me. Personal fave: Gotta Get Over. 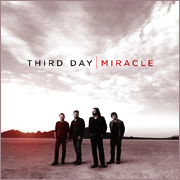 There are few Christian bands that I find interesting these days, but the new album by Third Day, Miracle is definitely one of them. Southern Rock never sounded better, and the album is great for driving down the highway with windows open and music cranked, and for feeling encouraged as a person of faith. From the opening rocker Hit Me Like a Bomb to the rousing rendition of Morning Has Broken, this album flat-out rocks. Highlights: Kicking & Screaming, You Are My Everything, The Victory, Forever Yours, and Take Me Back. And in addition to listening to some great music, I have the privilege of playing with some great musicians. 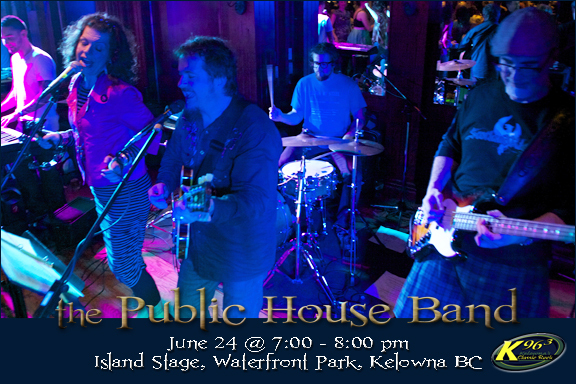 If you're in Kelowna BC next week, come on down for a rousing set with the Public House Band. And yes, I am indeed wearing a kilt in this photo. Actual dude not quite as shown The moment had all the elements of a great story: the seemingly random chance meeting, the instant recognition across the generations, the immediate bond of friendship and understanding. Except that it didn't happen like that. Not at all. Instead, it became a moment of self-deprecating amusement, on behalf of yours truly. The young wanderer just gave me a polite nod and continued on his merry way. While I was never a hippy (wrong decade), when I was younger, I did tend to dress and present as a bit of a freak. And it's funny how you tend to still see yourself -- in your mind's eye -- as that younger version of you. So when a young man wandered past me at the grocery store a few days ago, I saw a younger version of me. 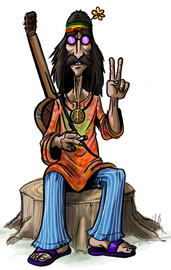 Obviously, he was not a hippy either (several wrong decades), but he had long wavy hair, a funky hat, and was dressed in a creative way that I immediately identified with. It brought a smile to my face as I nodded enthusiastically in his direction by way of greeting. And the afore-mentioned polite nod was the only response I got. And then I remembered an image of me from earlier that morning, looking back at me as I checked in the mirror before starting work. Yeah, that balding, grey-goateed, completely "uncool" 50-something guy wearing the grocery store shirt and a name tag. I recognized the young man. But he didn't recognize me. It reminded me of a conversation I had with my buddy Gord all those years ago, during high school. Yes, the same Gord with whom I once spent an entire night discussing whether or not Adam & Eve were left here by aliens as an experiment. In a (somewhat) weird way, Gord saw me. 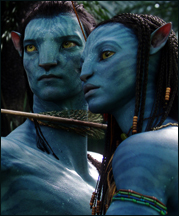 Not unlike the movie Avatar, where to "see" someone was to recognize them below the surface of their outward appearance. To see something of their unique identity. To discern something significant about what drives a person to be as they are. When people "see" me -- I mean, really see me -- do they see Jesus? "I want to know Christ—yes, to know the power of his resurrection and participation in his sufferings, becoming like him in his death, and so, somehow, attaining to the resurrection from the dead.